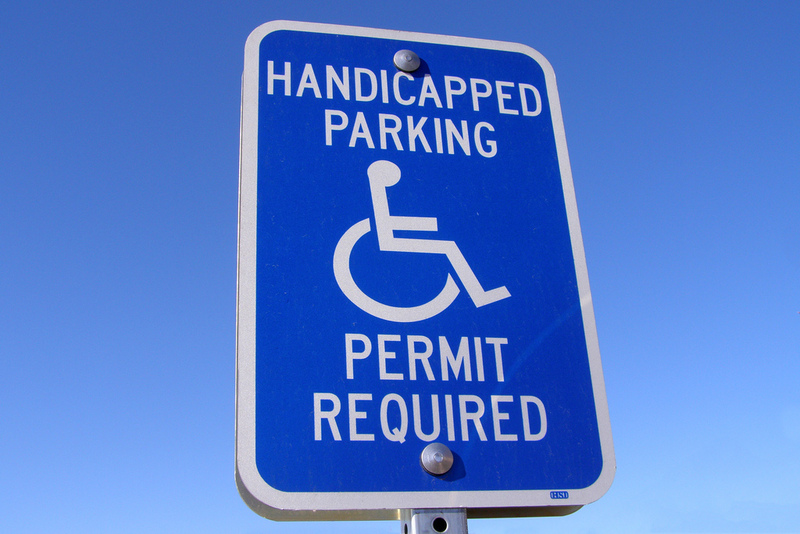 Handicapped parking sign. Image from Flickr by Chris Potter under the CC-BY 2.0 license. Please give attribution to 'StockMonkeys.com' (and point the link to www.stockmonkeys.com).